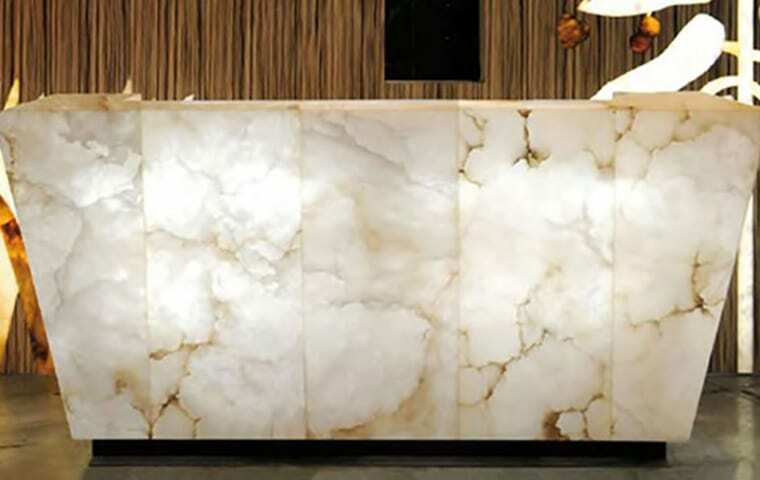 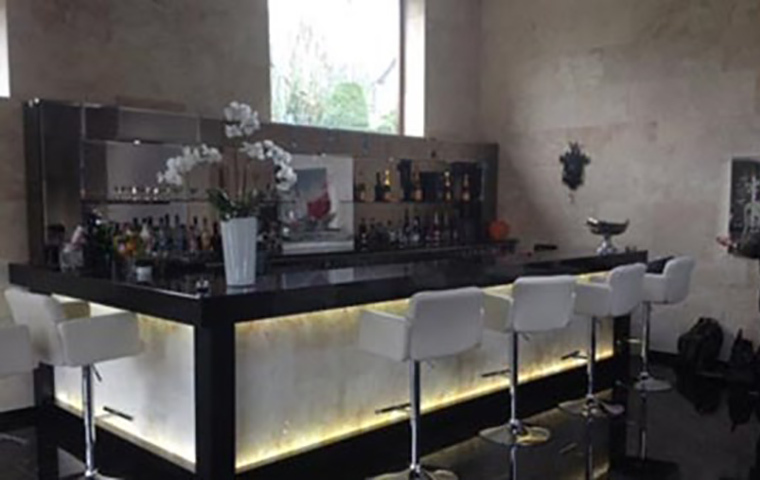 Featuring decorative bar panels in translucent marble effect finish, set inside a granite frontage and granite counter top and illuminated to create a beautiful luminous effect. 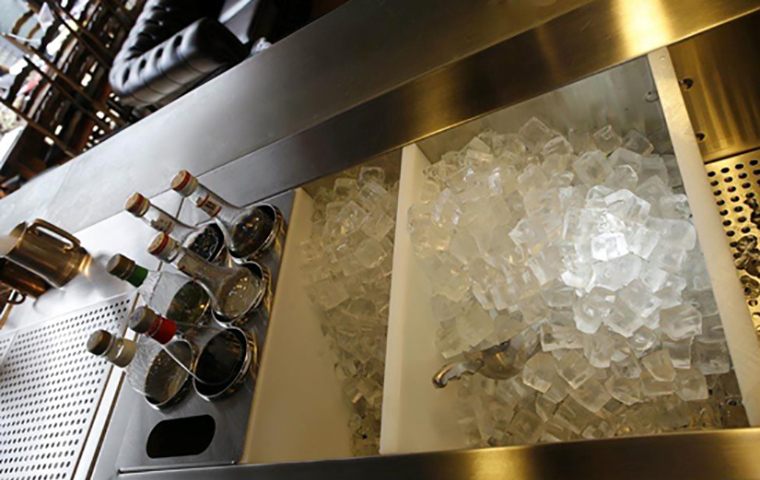 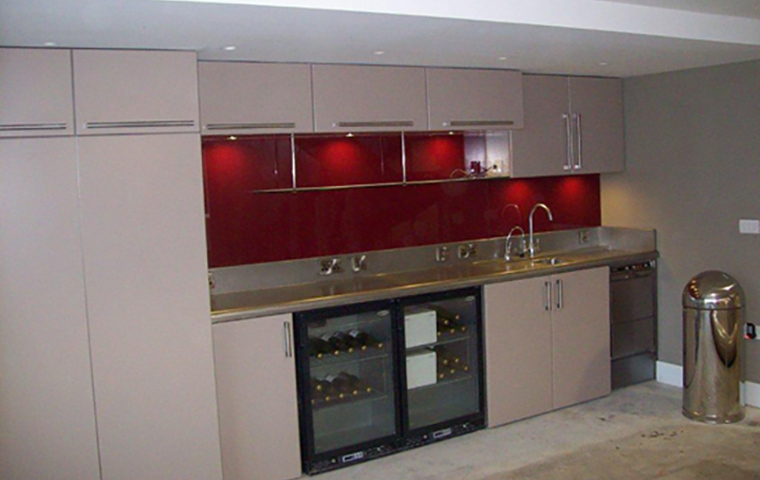 The under bar counter is a bespoke Dawnvale commercial bar system which provides an insulated ice well, sink and zip tap system. 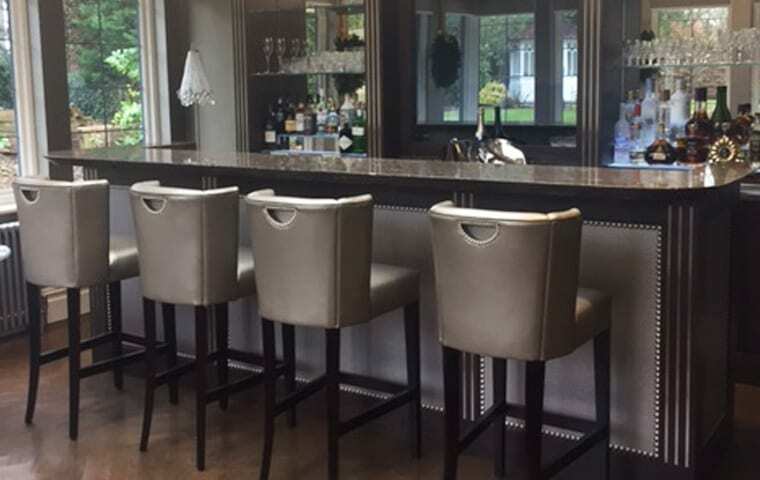 The back bar display provides an large space display.